Over the past few years the growth of specialist trade skills training centres throughout the United Kingdom has given more and more people who are thinking about a change of career a more convenient way to take up training than ever before. In the past the only way to train as a plumber was to get an apprenticeship when you first left school; Or to study at a local college for a period of 2 years or more. This in part, has led to the shortage of qualified plumbers in the UK that we have now, but with the arrival of purpose built training centres you can now get fully trained in a shorter space of time. Intensive plumbing courses are a good way of getting trained up for a career in plumbing and this web site hopes to bring you the most up to date information on courses, qualifications, industry bodies and government registration schemes relating to the plumbing sector. So, if you are interested in becoming a plumber in the UK, we hope you’ll find our site useful. From walking you through the qualifications you’ll need to be considered a qualified plumber, informing you of which courses will get you those qualifications and to finding a City & Guilds approved training centre in or near your area. One thing to note, if you’re just leaving school then the recommended way for you to become a plumber is still to try and get on an apprenticeship scheme, but if you’re finding it difficult to find one then you too could benefit from a taking a full time plumbing course. Why you Should Consider Taking an Intensive Training Course? Intensive plumbing courses could enable you to become a plumber in just 7 weeks of full-time training! Being a plumber can be a very rewarding career! If you like the idea of not being stuck in an office or factory, being out and about on different jobs working with your hands. Whether you’re thinking about becoming your own boss and starting up on your own or working for a construction company, there’s no denying that most plumbers get a great sense of job satisfaction that comes with this type of hands on work. 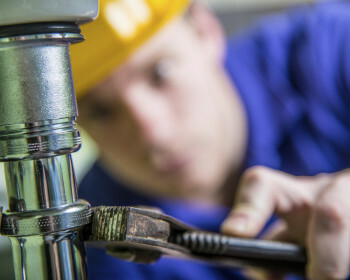 Intensive plumbing courses usually last between six and eight weeks depending on your training course provider, and whether you’ve opted for a full or part-time course (if you’ve chosen part-time, then you can spread the course out to suit your own needs), during which you will be instructed on all aspects of being a domestic plumber. You will be taught plumbing theory in the classroom, as well as practical hands on training i.e. fitting radiators, pipes, wash basins etc. in mock up areas designed to simulate a real work environment where you’ll develop your practical skills. In doing so you should quickly master all the skills and techniques you are being shown. The City and Guilds of London Institute (to give it its full name) is the leading industry recognised training accreditation body, so it’s important to make sure that whichever training centre you eventually choose is accredited by them (just ask to make sure). Plumbing courses run throughout the year and normally the timetable for a full-time course consists of Monday to Friday 9am – 5pm with the weekends off, it’s not unusual for students to stay in a bed and breakfast throughout the week days if you live a great distance from the training centre. But with more and more centres opening around the country this is getting less of an issue. get you the “Right” Qualifications? If you’re new to plumbing then the course you should be looking for is the City & Guilds (6129) technical certificate. This course teaches you all of the core foundation skills that all plumbers must learn. And on successful completion of the course you’d be awarded the City and Guilds 6129 technical certificate in Plumbing. Following on from completing of the C&G 6129 you should now try to gain the NVQ Level 2 Diploma in plumbing. You’ll be awarded your NVQ once you have completed a series of assessments (typically around 5-6 assessments) where an assessor will visit you at a place of work, where you’ll be observed doing a range of plumbing jobs and you’ll also be ask you a range of questions. To be awarded your NVQ is to demonstrate that you have understood and mastered all that you have learnt during the city and guilds technical course and can now put it into practice safely out in the real world. 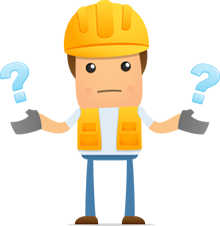 Some training providers can arrange to get on site work for you, so you can be assessed by an NVQ examiner (ask first if they can arrange this for you). Once you’ve gained your Level 2 Plumbing Diploma you can start work as a qualified plumber. One of the great things about taking a plumbing course is that there are no academic entry requirements, all you need is the eagerness to learn the new set of skills needed for your newly chosen career. The demand for qualified plumbers in the UK has never been higher; and with the widespread availability of these specialists plumbing training centres, there has never been a better time to train to become a plumber.